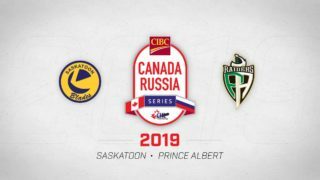 Three Saskatoon Blades will be participating in NHL Summer Development Camps this week. Forwards Eric Florchuk, Chase Wouters, and Max Gerlach will disperse across the United States to showcase their skills in hopes of earning a invite back to main camp in the Fall. Eric Florchuk was selected 217th overall by the Washington Capitals in the recent NHL Entry Draft over the weekend. Florchuk had 50 points during the 2017-18 season in the WHL and will travel to Washington, D.C., for Capitals development camp which runs June 26th – June 30th. Chase Wouters went undrafted over the weekend but was quick to receive an invite from the Tampa Bay Lightning. 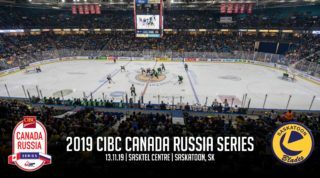 Wouters posted similar numbers to Florchuk with 51 points in 72 games this past season with the Blades, and added 3 points in 5 contests with Team Canada at the World Under-18 Championships in April. Wouters, 18, will look to prove his worth during Bolts camp this week which also gets underway on Tuesday in Tampa, Florida. 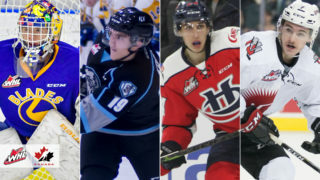 Veteran forward Max Gerlach will be attending his third NHL Summer Development Camp this week after finishing his third straight 30-plus goal season in the WHL. Gerlach was acquired by the Blades at the trade deadline in January from the Medicine Hat Tigers. 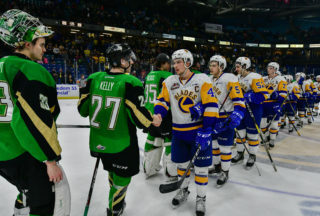 During his time with the Blades, Gerlach scored 19 goals and 35 points in 30 games, giving the Flower Mound, Texas product a career high 70 point season in just 65 games. This will be Max’s second consecutive year attending Arizona’s camp. He attended Dallas Stars camp when he was 18. Arizona’s camp began on Monday and will finish on Friday, June 29th. 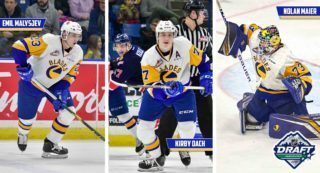 All three Blades forwards will try to earn an invite back to main camp in September with their respective clubs.